What May Cause A Bunion? 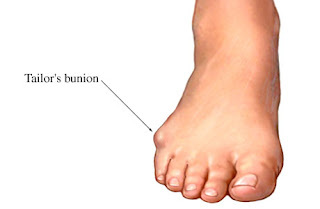 Because they are bone deformities, bunions do not resolve by themselves. The goal for bunion treatment is twofold: first, to relieve the pressure and pain caused by irritations, and second to stop any progressive growth of the enlargement. 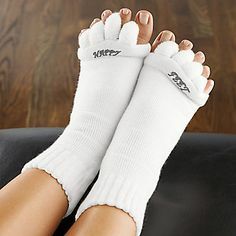 Commonly used methods for reducing pressure and pain caused by bunions include the use of protective padding, often made from felt material, to eliminate the friction against shoes and help alleviate inflammation and skin problems. Removal of corns and calluses on the foot. Changing to carefully fitted footwear designed to accommodate the bunion and not contribute toward its growth. Orthotic devices, both over-the-counter and custom made-to help stabilize the joint and place the foot in the correct position for walking and standing. Exercises to maintain joint mobility and prevent stiffness or arthritis. Splints for nighttime wear to help the toes and joint align properly. This is often recommended for adolescents with bunions, because their bone development may still be adaptable. Bunion surgery generally involves repositioning the maligned bones with a bone cut (osteotomy) and/or bone mending procedure (fusion). As such, the time it takes for bones to set or mend in the corrected position generally takes six weeks. Smokers and those in poor medical health may take longer to mend the bone. The biology of bone healing is about six weeks, that time frame can't be made quicker. What can be changed is the disability that one experiences while the bone is mending.